Time for another in the “Through Their Eyes” series. This one is from the wonderful and lush Palouse. This year, I co-led an early spring workshop with my friend Rad Drew and then led my own after that. I’ve combined both groups in this post. I have already filled my 2018 Palouse workshop, however, Rad and I have agreed to co-lead another next year the week after mine! 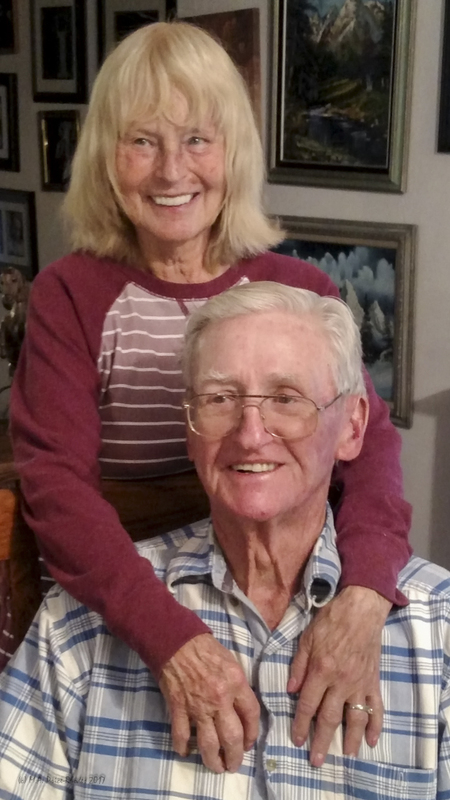 We have room and would love to have you along! You can find the details, and, sign up by clicking this link on Rad’s site. Remember to click on the images to make them bigger and on the links to see more of their work! Jamie C. – It’s of special significance to me because it is an iconic image of American farmland I was hoping to capture when I signed up for the workshop. But more importantly, it was how I got the shot that is the real story. John and Steve took us to the farm location for a late afternoon shoot but clouds filled the sky and the image would have been flat. Then it started to rain — and we dashed out of there before we got stuck in the mud. But on the drive back to town the skies cleared and thanks to a last minute decision by John and Steve we went back to the farm location and was able to get this wonderful shot. Jo J. – Because who doesn’t like a halo over a church? 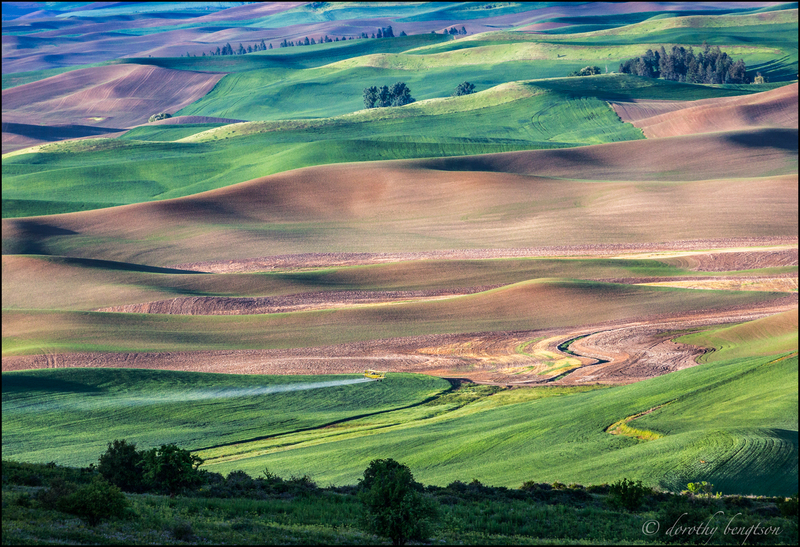 Jamie C. – I love this image because it combines the rolling beauty of the Palouse wheat fields, with a few artist touches inspired by my fabulous week in the workshop. 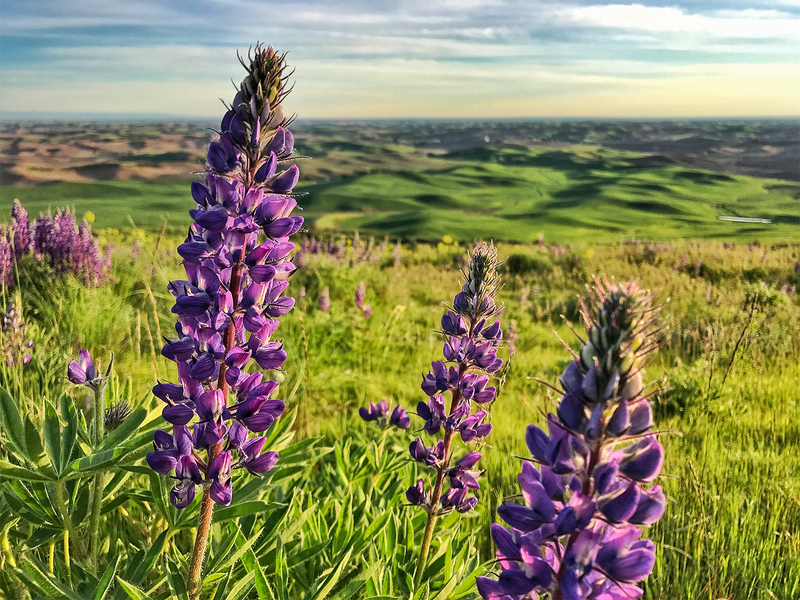 Sue M. – I love wild flowers and this image captures the beauty of the Lupines with the beauty of the Palouse in the background. 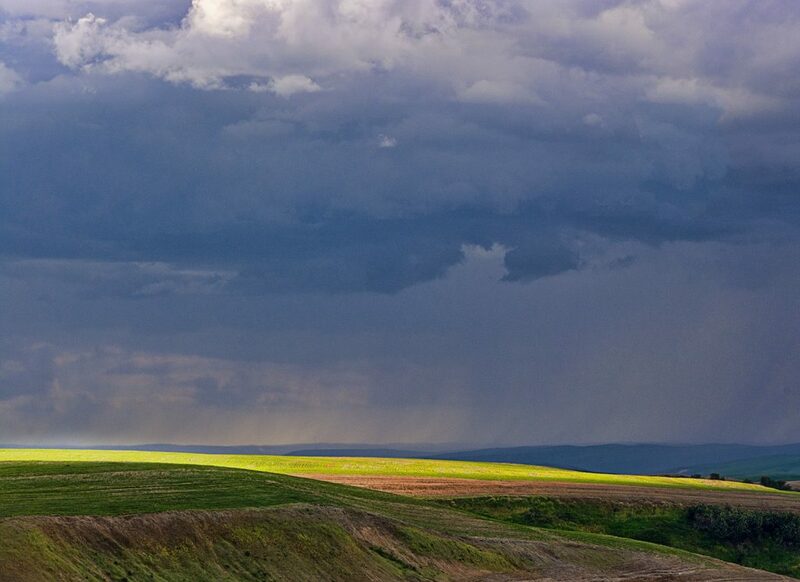 To me it captured some of the essence of what is the Palouse. 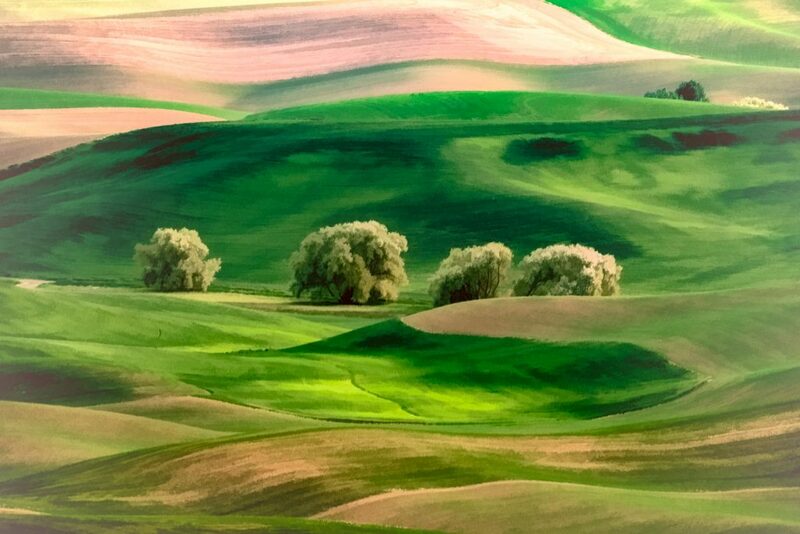 Marlene M. – Although the iconic landscape shots were what sparked my interest in visiting the Palouse, it is this image to which I keep being drawn. For me, it conveys a sense of lonesomeness, of yearning. Joe P. – I like this photo because of extreme contrasting colors and light. Penny C. – I love that only the tops of the crests and ridges are aglow; as the sun was sinking lower, this lighting was brief and lovely. Melony P.R. 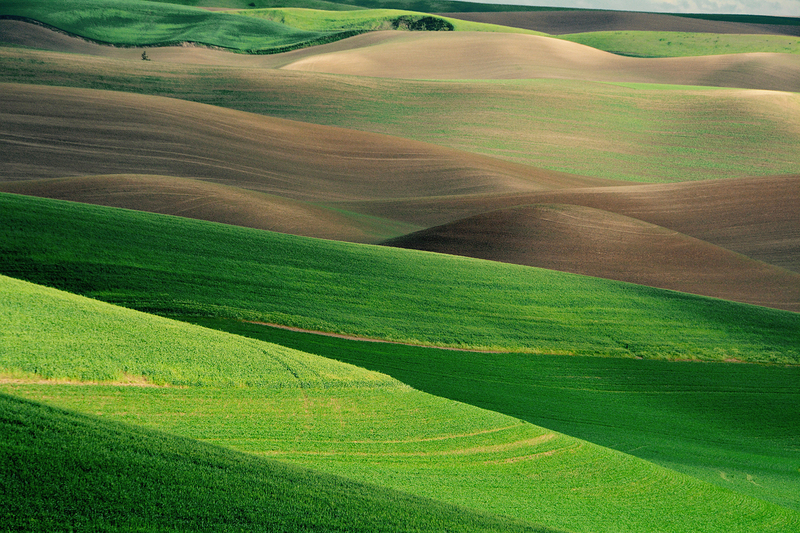 – This was my second trip to the beautiful Palouse. The beauty here rivals my favorite place on Earth, Hawai’i. 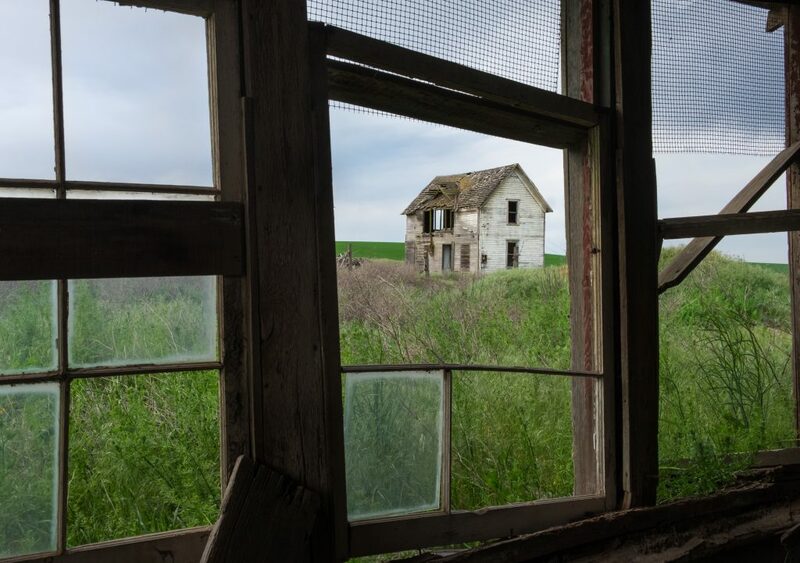 Yes, the landscape takes your breath away, as does the abandoned houses and old barns, cars and trucks that have been in families for generations. 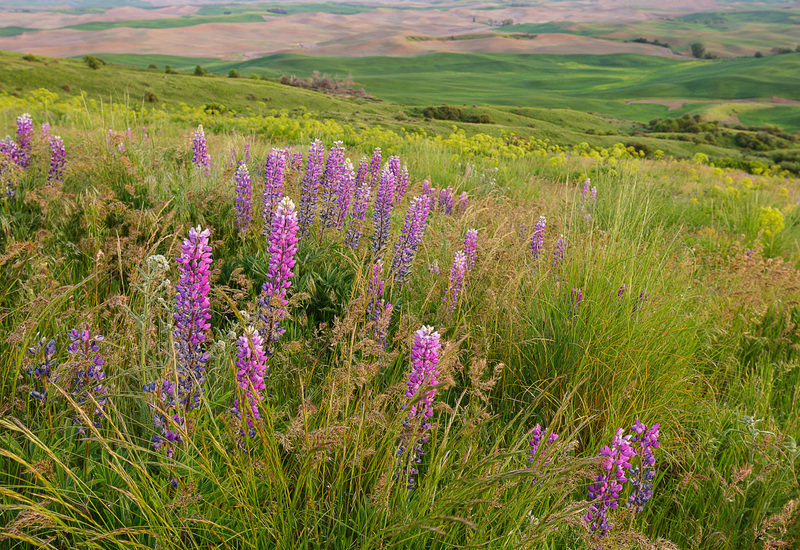 But in addition to all of these items that I love to photograph, the ones that capture my heart are the fabulous people that are lucky enough to call the Palouse their home. I find it difficult to photograph people, but on occasion, I get a photo that I like. I got two photos of Palouse icons this trip and years from now when I recall these images, my heart will smile. 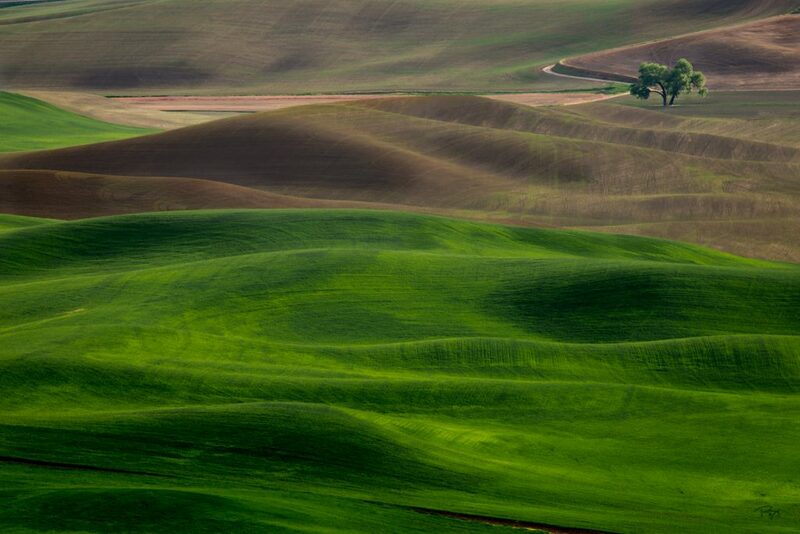 Linda C. – I like this image because it shows the wonderfully, sensuous rolling hills which are trademark Palouse. Shirley W. – I absolutely loved the grand vistas revealed around every curve of the dirt roads winding through the Palouse. But having grown up on a dairy farm, seeing the decay and demise of so many family farms made me a bit sad. 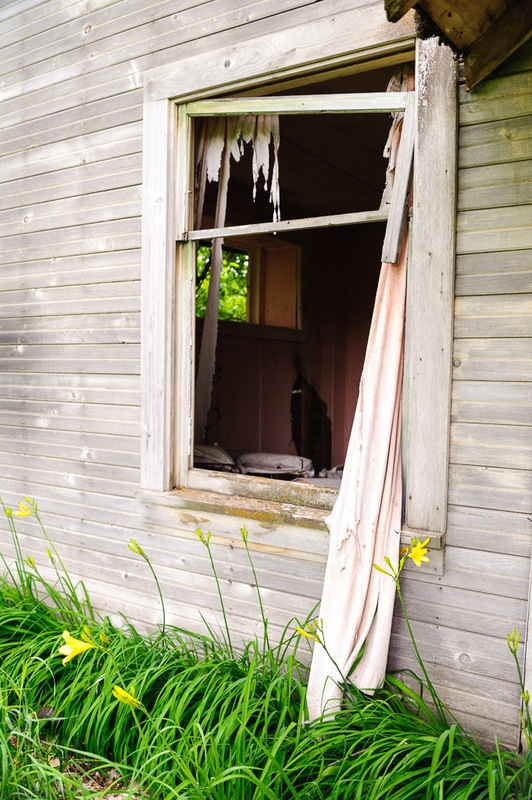 This photo, with the lilies still growing as the house falls to ruins and the tattered drapes flap above them, spoke to me of hope. 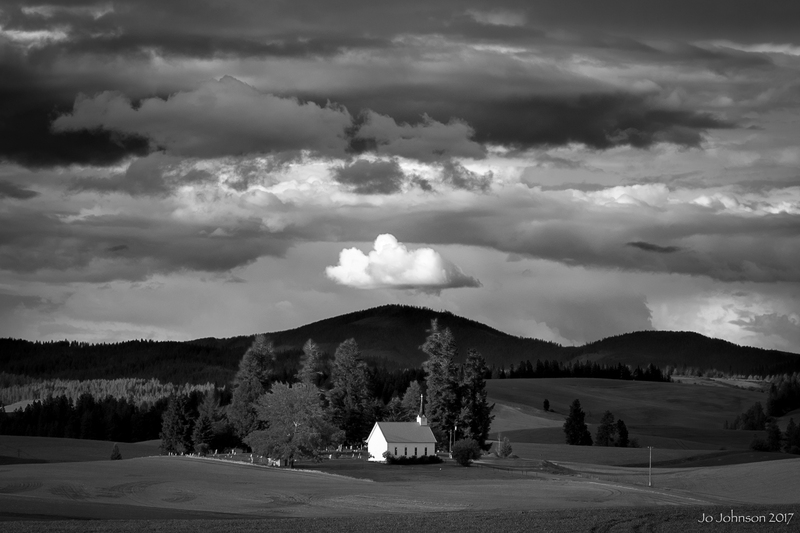 Lois M. – I chose this one because it is what I had in my mind’s eye before the photo trip. Rolling hills, light and shadow, beautiful color. And I had fun adding my own touches to it. Andrea P. – I call this, “Curves”. 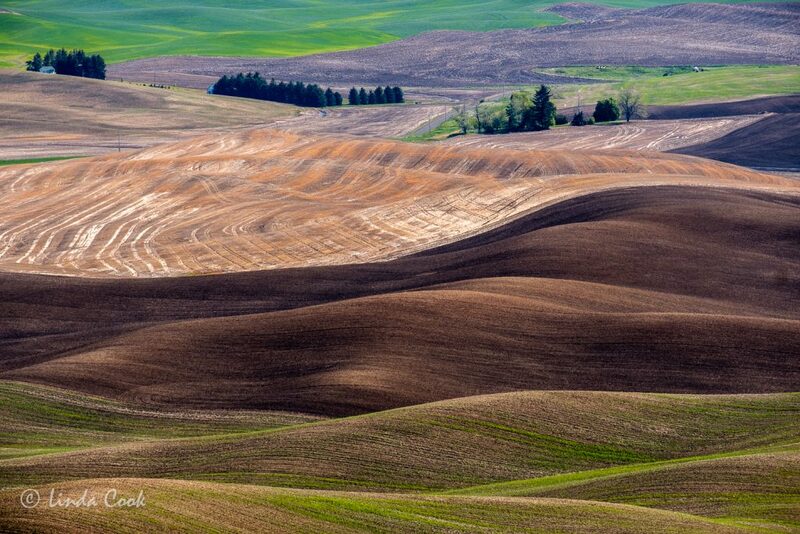 It’s special to me because the first pictuees of the Palouse I ever saw were of undulating hills and beautiful contrasting colors. That’s what I wanted to see (and I did!!). 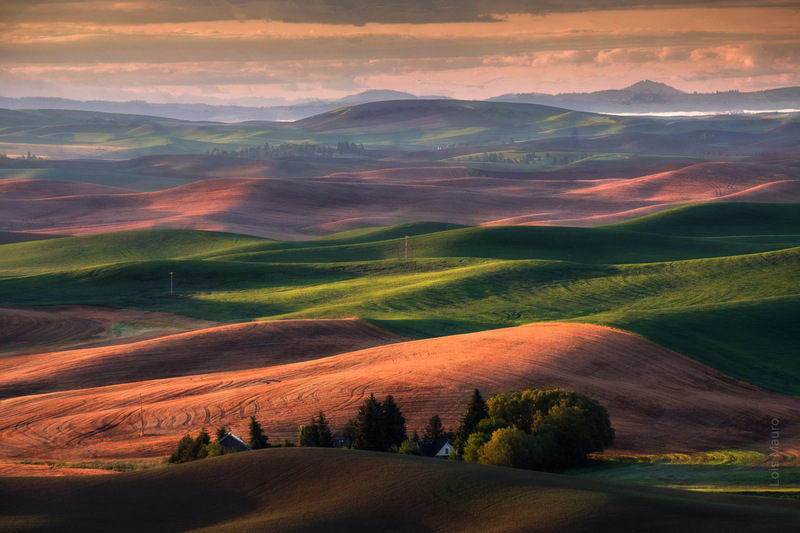 This image is, for me, the Palouse! 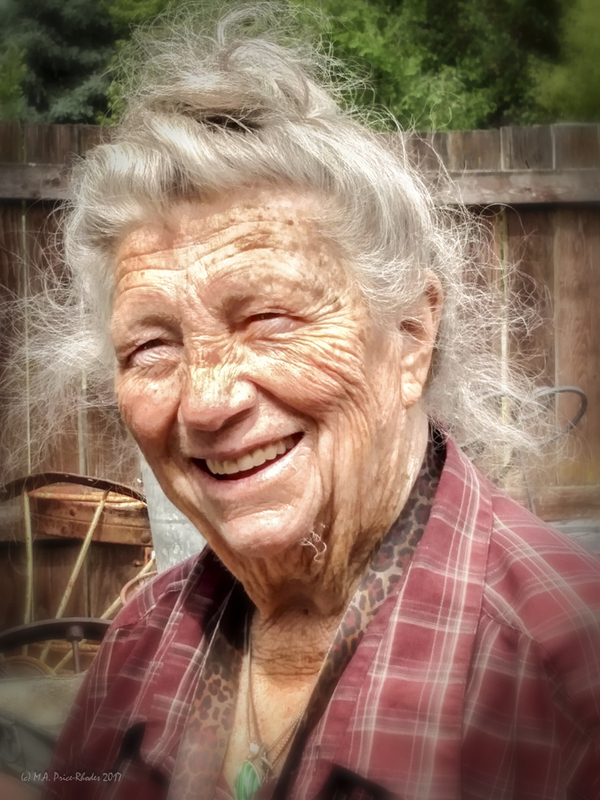 Dorothy B. – It is from our morning at Steptoe and I love the light on the hills, and of course the crop duster flying through. 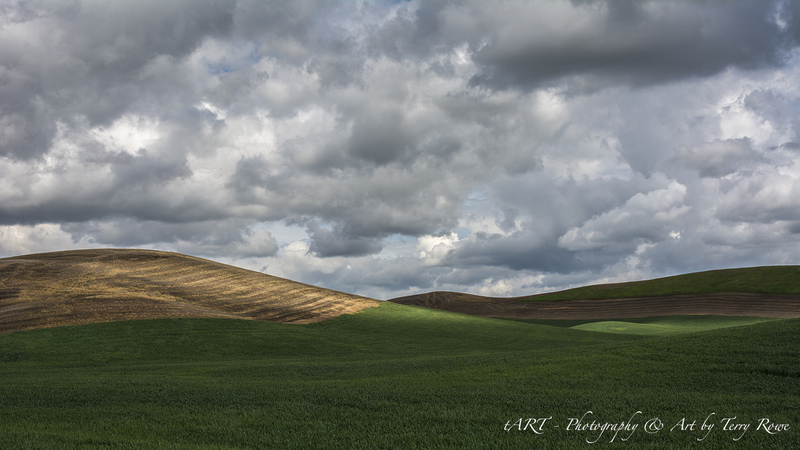 Terry R. – Hard to pick one, but this one I did pick because it is distilled to the simplicity of the light on the land and the amazing sky – the essence of the Palouse. 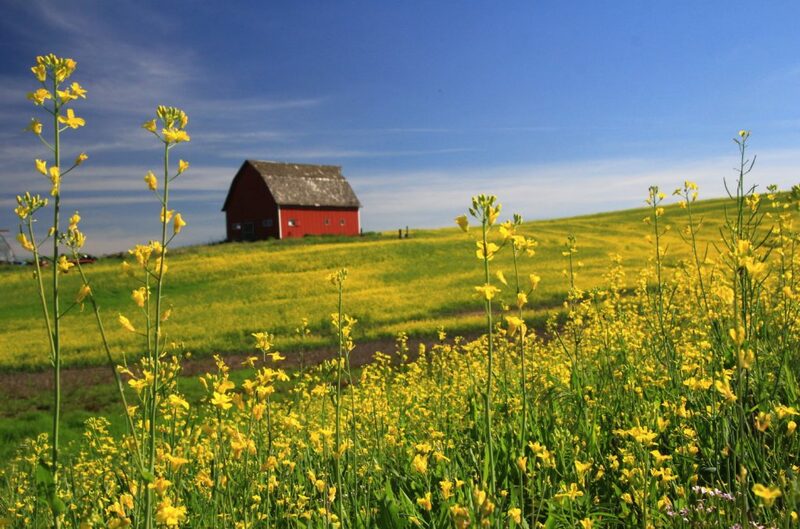 Susan R. – (@image_sir on Instagram) I like it because it reminds me of what the Palouse is…barns, rolling hills of wheat, Canola fields and beautiful scenery. BEAUTIFUL SET OF LANDSCAPE PICTURES. Wow!!! What a great collection of images. Plus, it was such a great time. I’m ready to go back! Lets do it again next year Steve!! :). Oh, we are … duh! You have given the gift of MINDFULNESS to these very talented Palouse workshop participants. The photographs are AWESOME!! I can’t wait to go!! 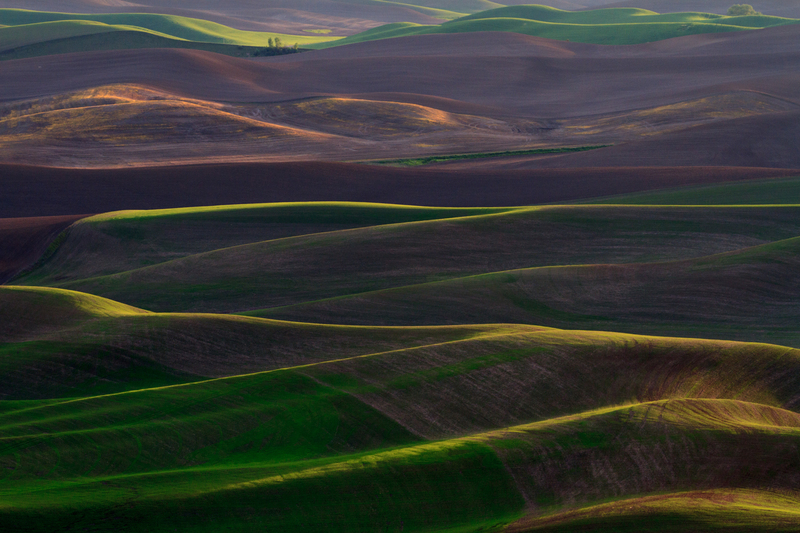 Such fun to see everyone’s favorite image and what impacted them the most from the Palouse. Thanks for sharing! Indeed. Part of the reason I love doing this post!